You’re never going to believe me. Sometime shortly after graduating from college, just as I started my first real job, I made an amazing discovery. This discovery changed my life, and it can absolutely change yours. I didn’t care much about the morning until I got into the “real” world, but now I’m entirely convinced that how the morning goes, the day goes. Wanna have a great day? Have a great morning. And I don’t think I need to convince you that most of the time when you have a train wreck of a morning, it’s not likely the rest of the day goes much better. Can that kind of day be salvaged? Sure. But it’s not the ideal. This isn’t about getting up at a certain hour, it’s about giving your morning breathing room. Let the morning slip by, and you settle. You settle for mediocre. How many great days have you missed by not having a great morning? So what is the ideal way to start a morning? Let's take a look at the best practices of some of history's most successful people. Ben Franklin got up at 5:00 a.m. Mozart got up at 6:00 a.m. Ernest Hemingway got up at 5:30 a.m. Frank Lloyd Wright? Four o’clock in the morning. The best morning routines of the most successful people always start early. Why? Because you can’t rush greatness. Use the best practice: This isn’t about getting up at a certain hour, it’s about giving your morning breathing room. No more rushing. No more snooze button. No more getting up at the last minute. Why did all those people get up so early? Because they had something to do. Frank Lloyd Wright did all of his designing between 4:00 a.m. and 7:00 a.m.
Mozart did all his composing before 9:00 a.m.
Start your days with the most important things. For some people that’s work. But keep in mind that Mozart wasn’t giving piano lessons first thing in the morning; he was composing. He was doing the most important thing—and giving his best self to that important thing. Work isn’t the only thing to get up early for. For some people it’s exercising. For others it’s prayer. Find your important thing (or things! ), and make it a priority for your morning. Use the best practice: Figure out what is important to you. Is it prayer? Is it exercise? Is there some dream you can work towards? Figure out your why. Then set a goal and be amazed at what happens when you begin each day pursuing that goal. I’m throwing this in here only because, in my research, almost every champion of a great morning specifically mentioned coffee as a part of their morning routine. W. H. Auden, Mozart, Benjamin Franklin, Ernest Hemingway, Soren Kierkegaard, Jane Austen, Andy Worhol, Maya Angelou, Woody Allen . . . The list could go on. Beethoven was the most serious. He rose at dawn and personally prepared his coffee to exact specifications. He determined that sixty beans was the perfect amount per cup, and he would count them out one by one to make his coffee. 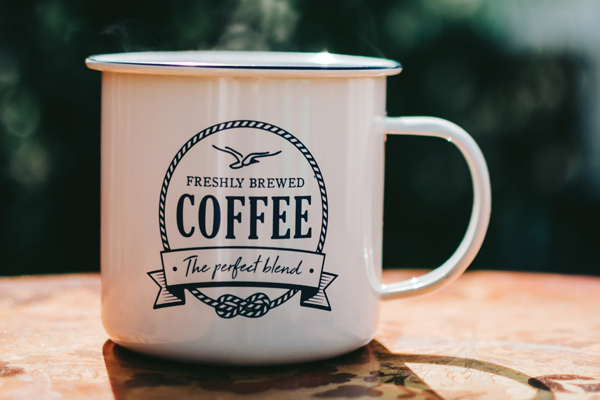 Use the best practice: You don’t really have to drink coffee if you don’t want, but consider having something to help you “boot up.” Maybe it’s tea, or a smoothie concoction. Something that gives you that jolt of alertness. This one is going to sound a little obvious, but the best morning routine accounts for an intentional preparation period. Sigmund Freud rose every day at 7:00 a.m., ate breakfast, and had a daily visit from a local barber who would come just to trim his beard before his first appointment at 8:00 a.m.
Mozart made sure his hair was done by 6:00 a.m., and he was fully dressed by 7:00 a.m. I’m no expert in eighteenth century personal grooming, but that’s a lot of time to get ready. A daily beard trimming might be a little excessive, but this best practice accounts for more than just personal grooming. Use the best practice: Consider getting a planner to help you prepare for the day. Maybe use Benjamin Franklin’s question: “What good shall I do this day?” Get into a routine that primes you for success for the rest of the day. This best practice is the second cousin of “have something worth getting up for.” Studies show that in the morning, we are at peak performance when it comes to our intellect and willpower. A great day isn’t an accident, and they almost always start the same way: with a great morning. I’m not going to list any specifics here because you will be hard pressed to find a morning routine from any successful person that doesn’t include some form of work or intellectual challenge (even if it’s just taking a stab at the crossword puzzle like poet W. H. Auden!). Just know that the most successful people don’t start their day playing video games, watching TV, or hitting the snooze button twelve times. Use the best practice: Do the sudoku or the crossword puzzle. Read the paper. Spend ten minutes reading a great book. Do a little study. Do something every morning that challenges your willpower and intellect. There are a thousand different ways to do the morning, and you have to figure out what is right for you. If you pick a successful person and try to figure out their morning routine, you’re likely going to find the five best practices above. If you like this article, you will love . . .